Tech at Night: California Democrats are bonkers. How to fix patent trolls. Tech at Night: California Democrats don’t understand how the Intertubes work. Dropbox joins in on FISA transparency. 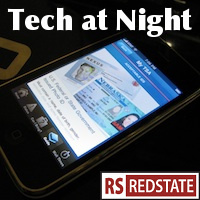 Tech at Night: Google isn’t wiretapping. The anti-IRFA is a good idea. Good news! California Democrats think you can erase stuff from the global Internet just because you really really want to. This is magical thinking in law form. Telling kids they should run amok online because they can just erase it later, is insane. The Internet is dangerous and not for kids. Again, the core problem with patent troll litigation isn’t with the court system, it’s with too many patents being issued. So the patent-holding tech industry may have a conflict in what it recommends to fix this. But seriously, the only reason patent trolling works is that so many bad patents get issued to begin with. EU regulations are trying to hinder phone innovation, attacking the American-based Apple. Could the FAA finally be realizing that their electronic device rules are insane and have no business continuing to exist? Bitcoin continues to prove that while privacy is great, anonymity is bad. FCC is continuing to look for ways to pick winners and losers, even if it means changing the rules specifically to stick it to some firms that the extreme left wants to fight. Among the things Republicans may demand in exchange for a debt ceiling increase? Net Neutrality repeal. Clever.